UNIPORT Part-Time Admission List: This is to inform all the candidates that applied for admission into the part-time degree programmes of the University of Port-Harcourt (UNIPORT) for the 2018/2019 academic session that they can now check their admission status. This is to announce to all the candidates that applied for admission into the Diploma in Law of the College of Continuing Education, University of Port Harcourt for the 2018/2019 academic session that they can now check their admission status. 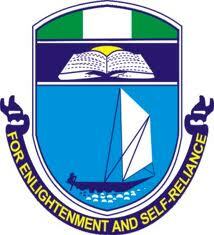 UNIPORT part-time diploma in Law admission list has been successfully uploaded online. You can access your admission status on UNIPORT website. On the List displayed, press ctrl + F, then type in your name or Reg. No in the space provided, then Press Enter to search for your name. The University of Port Harcourt is a university in the Nigerian city of Port Harcourt. It was established in 1975 as University College, PorHarcourt and was given University status in 1977. The University of Port Harcourt was ranked the sixth in Africa and the first in Nigeria by Times Higher Education in 2015.